A&E Java Wood Coco DeNut - Sm. A coconut husk stuffed chock full of java wood, cuttlebone pieces and banana leaves. A chunk of loofah hangs by sisal down from the center of this "nut", ready to be filled with favorite foraging treats. 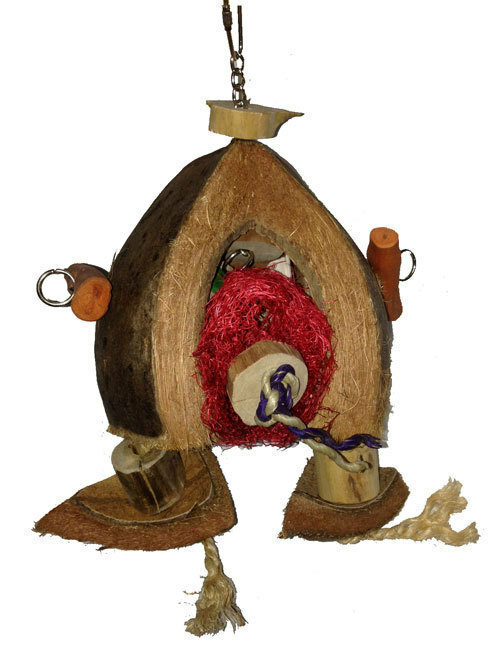 Coconut husks and bamboo pieces round out this great toy! Notify me when A&E Java Wood Coco DeNut - Sm. is in stock.